All of our bargain books are brand new, perfectly readable and represent a tremendous value! The bargain books are, however, publisher overstocks and remainders that TRW purchases at deep discounts. As a result, they may have a small mark through the UPC bar code or a small mark on the side of the book. This is simply to mark the books so they cannot be sent back to a publisher. Because of this, bargain books are non returnable to TRW unless they are damaged. Please consider this before ordering. Annotation: Explains what banks are, what services they offer, and how customers use those services. These books explain basic economic concepts, from allowance to bank accounts, occasionally offering practical advice. Kid-friendly titles on money ([cf2]Dinero[cf1]) and allowance ([cf2]Tu dinero[cf1]) are perhaps better suited for the audience than the volumes on banks and credit cards. The texts are generally smoothly translated. Some of the well-captioned photographs look dated. Glos., ind. 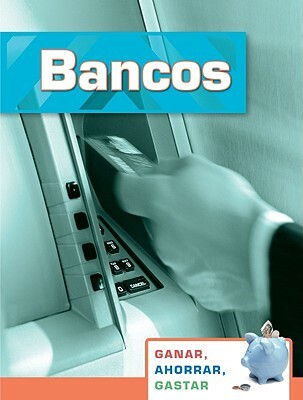 [Review includes these Ganar, ahorrar, gastar titles: [cf2]Bancos[cf1], [cf2]Dinero[cf1], [cf2]Tarjetas de credito y cheques[cf1], and [cf2]Tu dinero[cf1].] Copyright 2009 Horn Book Guide Reviews. Young readers curious about how money works will learn much from this series, in which complex topics such as how interest accumulates are described plainly and concisely. Though some of the photographs look dated, the information is not: e.g., "Some customers bank online." Reading list. Glos., ind. [Review covers these Earning, Saving, Spending titles: Banks, Credit Cards and Checks, Money, and Your Allowance.] Copyright 2008 Horn Book Guide Reviews. [Page 108]. Copyright 2007 Reed Business Information.